This weekend I needed to get the kids out of the house so that my wife could bake a birthday cake for a friends little boy. 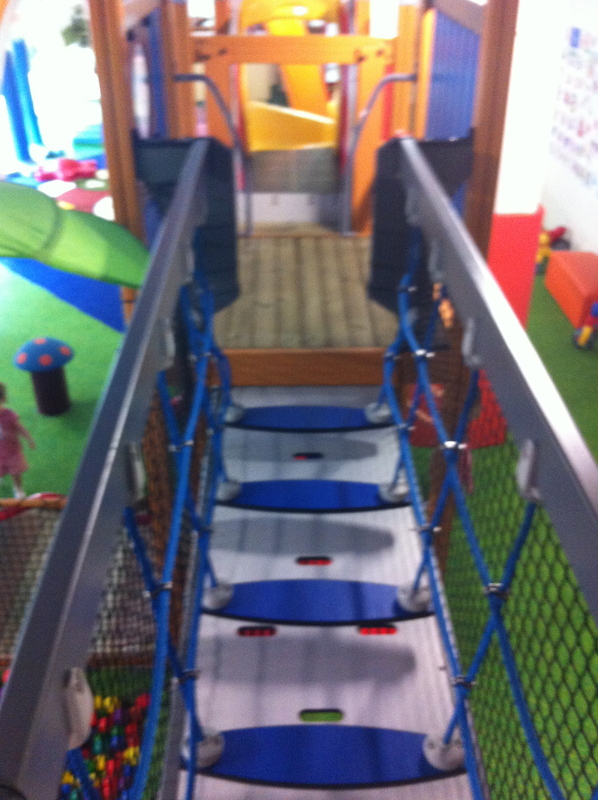 With all the rain we have been having I thought the safest option would be an indoor playground. Coincidently Kids “R” Simple recently posted about Fun at Giggles which is near us and so the venue was easy to pick. Fun at Giggles is next door to Parkway Parade mall. This means if you live east coast it’s probably an easy bus ride; if you’re anywhere else on the island then it’s a car/taxi or MRT + bus i.e. a bunch of hassle. Being on the second floor of what I’d guess you’d term a mini-mall or just block of shops it’s not easy to find. Best to check out the address and google map it. I have got used to people asking for my EP number but the entry procedure went to a new extreme. iPads appeared, photos were taken and then you had to enter a bunch of info both about yourself and the little ones. Seemed a tad over the top just to have a play and as I’m doing movember my pic’s not going to look like me in a couple of weeks time! Anyway once we were duly entered into the system you had to then also sign-in, this was a finger signature on the iPad again. Eventually we did get in! There are 3 main areas, an open space with some kind of McDonalds arch over it, the climbing/ball pit area and a dress-up/role-play/arts and crafts area. The open space gives the kids plenty of room to run around they also have a good selection of large items to clamber over, bounce on or drive. My little one spent about half her time bouncing on a trampoline kind of thing. The big arch isn’t just decorative, there’s a button the kids can press that starts up some music. Fairly sure that there is a camera in the top that is supposed to track the kids with the musical games of statues or standing on numbers on the floor. But there are too many kids running around for it to work properly. 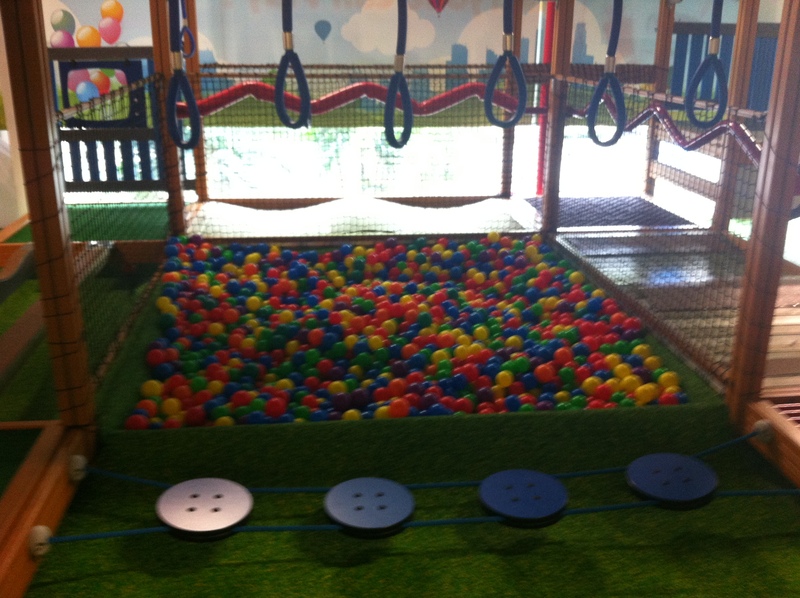 The climbing area and ball pit is visually the main area and where all the kids head to first. My friend described it as an outdoor playground inside rather than a soft play area that you get in most indoor playgrounds. She got it spot on and at this time of year that’s great as it’s so wet out. It does mean you have to be alert though with the little kids. The older ones are fine and by having ladders or climbing walls to get up to the second level; it does keep the smaller ones from falling down from a great hight. As Kids “R” Simple also noticed the staff do keep an eye out for the kids safety and are always reaching out to help them on a balance rail or ladder. 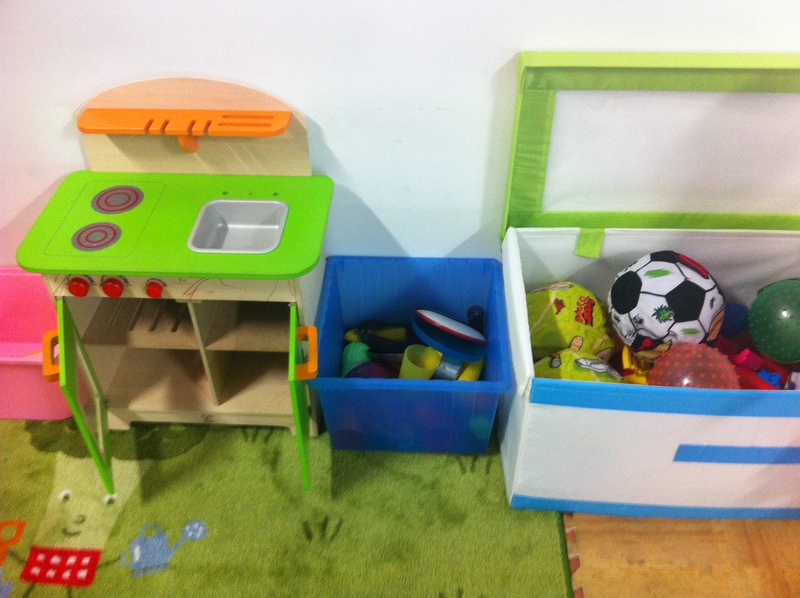 Finally there is the dress-up and arts and crafts area. There’s a fair range of hats and also a toy kitchen to play with here. The best thing is that it’s all new to the kids and so exciting. They have a range of printed out designs available from the desk that the kids can get and colour in. 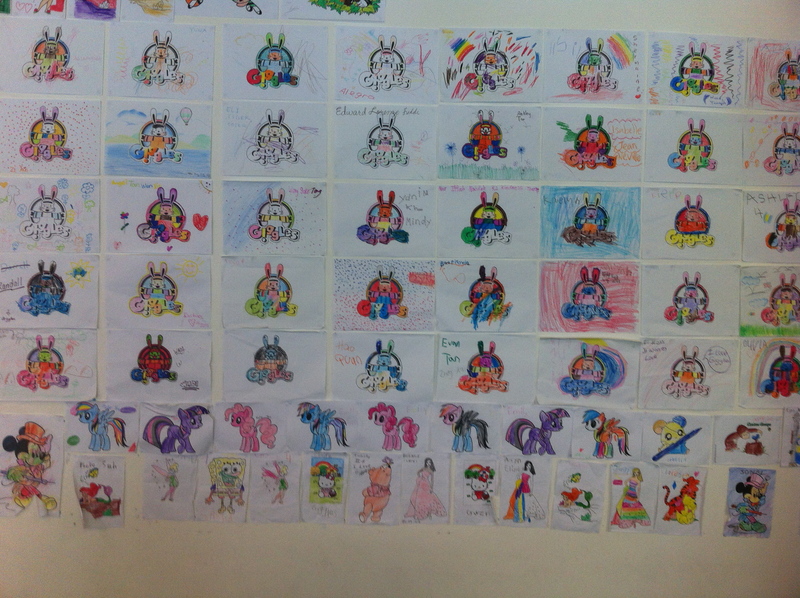 A whole wall is covered in these and the kids really enjoyed looking at them. 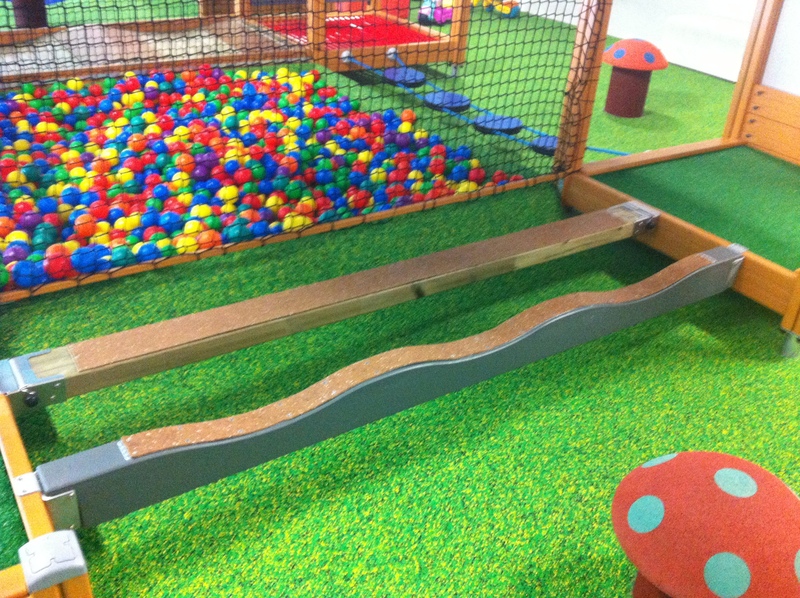 For all the design that can go into these play areas, kids have most fun when they invent their own games. Unlike some of the bigger places such as pollywogs or fidgets, where everything is screwed down, there are a bunch of things that are loose. Wheelbarrows full of balls from the ball pit or cars to zoom down the slides were prize possessions. All the kids had a good time and there is Parkway Parade next-door for lunch. Definitely a good place once in a while, especially during the wet season. Kids “R” Simple has a free ticket giveaway ending on the 16th of November so if you want to be in with a shout you better get over there quick, link below. The playground is fairly new and it’s best to visit now before it has the same problems as those that have been around for some years. I am glad your kids enjoy the place. Thanks for linking to my post!